Since 2017, Ethan and his brother were living with Timothy Hauschultz and Tina McKeever-Hauschultz, their court-appointed guardians, and the Hauchultz’s son Damian. Court records do not describe how or if Ethan and his brother are related to the other three Hauschultzes. Court records allege that Timothy Hauschultz punished the two younger boys by making them carry a log that weighed over 2/3 of their body weight for two hours a day for a week, and Damian, who was 14-years-old, was made to supervise the punishment. According to Damian, they were being punished for not learning thirteen Bible verses to Timothy Hauschultz’s satisfaction. 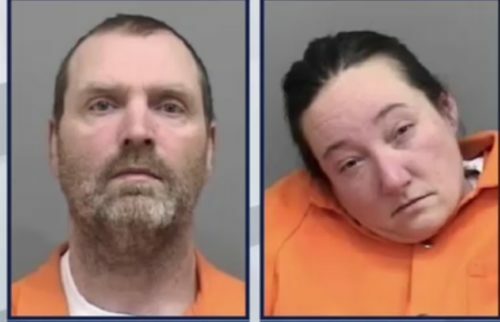 The Manitowoc County Sheriff’s Office believes that Damian beat Ethan an estimated 100 times, shoved him to the ground repeatedly, and rolled the log on his chest for an hour and a half before burying him in the snow on April 20, 2018. Damian later told police that he “didn’t do anything that would have hurt” Ethan. He said that Ethan kept on dropping the log and that he became frustrated with the 7-year-old. When Ethan became unresponsive, Damian thought that Ethan was “resisting” so he buried him in 80 pounds of packed snow and ice. Ethan weighed 60 pounds. When paramedics arrived, Ethan had a body temperature of 23 degrees and no heartbeat. The Milwaukee County Medical Examiner’s Office determined that Ethan died due to blunt force trauma to the head and hypothermia. Investigators said that Damian said in an interview that Ethan was “in his own little coffin of snow” and laughed. He told investigators that his life had become “boring” since Ethan and his brother came to live with the family and that he was angry with them. Timothy Hauschultz faces six charges, including a felony murder charge. Tina McKeever-Hauschultz has been charged with failing to prevent bodily harm and intentionally contributing to the delinquency of a child. Damian Hauschultz faces seven charges, including first-degree reckless homicide. “I’m happy justice is finally going to be served for my son Ethan,” Ethan’s mother Andrea Everett said in a statement when charges were filed last year.